An Isis-faced, flea bit tip, growth-cratered, penetrated, rainbowed Arkansas rock crystal scepter! 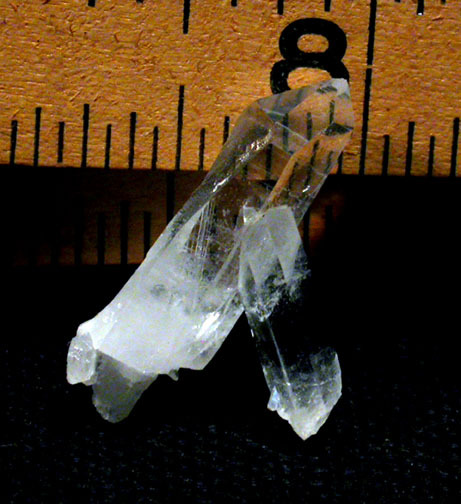 Very clear, a contacted little tabular crystal at the scepter stem, this rarity is 5/16" x 11/16" x 1-1/8" and a thumbnail specimen worth a big space in your collection! Sent gift boxed with hand written description on the reverse of our enclosure card. Shipping will be added.